Wanna see what I've been working on at school??? 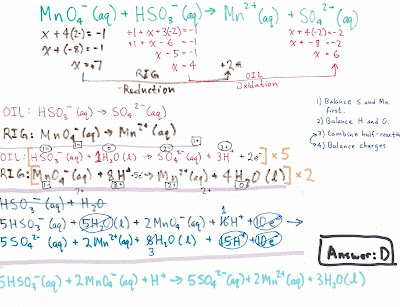 This is an example problem for balancing redox equations in General Chemistry I. It's actually pretty neat! I've really been enjoying Gen Chem at Wright State University. GOALS FOR WEEK 44 Study for Chemistry ExamExercise at least four timesDo Calculus practice finalFinish rough draft of JAREnjoy Thanksgiving! An outstanding and fun book to read about our great nation's history!